Discover His Plan! Discover His Purpose! Come along with us to sing fun songs, do crazy crafts, eat yummy snacks, play awesome games, and more! Plus, you'll learn all about Jesus our Savior and how He is at work through us! Can't wait to see you here! 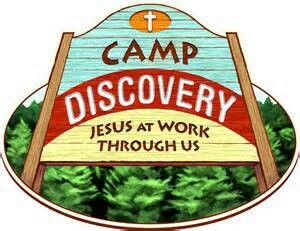 We also have lots of volunteer opportunities before and during VBS. There is also a donation request board in the Fellowship Commons area to facilitate donating and lending items for VBS. For more information, contact the VBS Director, Carla Jones at (816)547-4751. In addition, watch for updates in the The Shepherd's Staff and on the church website. To register your child or sign up to be a volunteer, just click on the online registration icon. If you'd prefer to fill out a paper registration form, just click on the link below, print it and turn it in to the church office.